For my No Depression review of the Wayworn Travelers show at Club Passim, click here. Funky? Check! White? Check! Honkies??? I try not to have expectations of shows, but whatever expectations I may have had of this show by The Funky White Honkies were blown out of the water by the reality of it! I had never been to a show where the staging was destroyed at the end of the night! It seemed to be a gentle destruction – the drum kits were gently tipped over and the guitar looked like it was playable after restringing – but it was fun to watch Dinty Child create the mess! Vapors of Morphine – Finally!!! 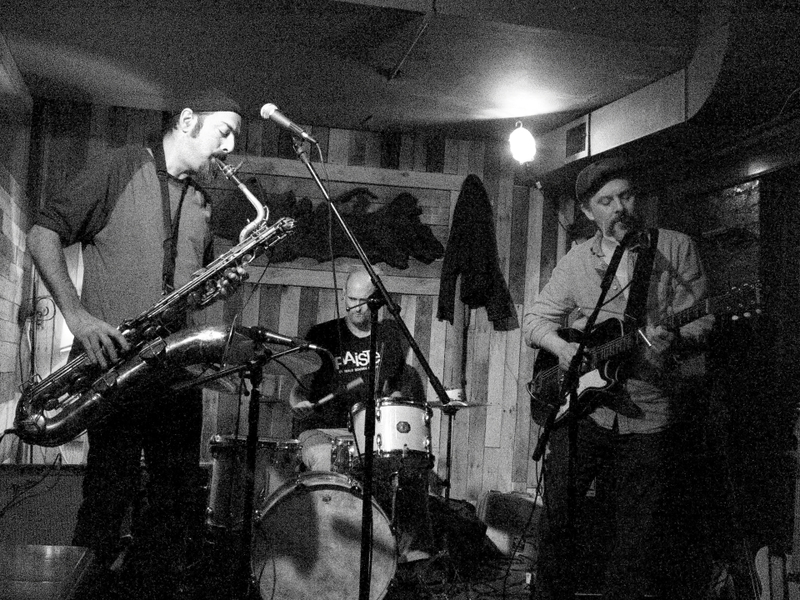 Vapors of Morphine is an act – formerly known as Members of Morphine and also Ever Expanding Elastic Waste Band- that I’ve wanted to see for several years.